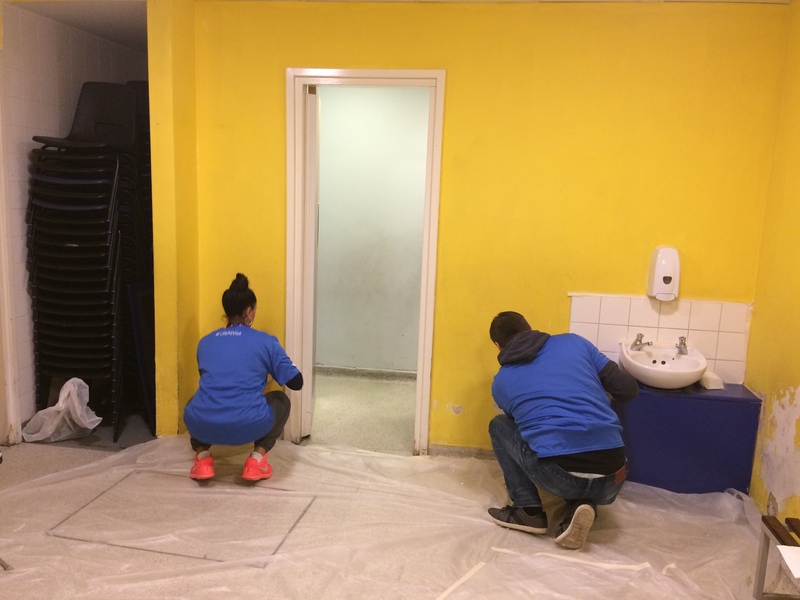 Visa colleagues from Paddington transformed two tired changing rooms at Hampden Gurney Primary School, Marble Arch, in just a couple of hours on Friday 8 December. The team of six rolled up their sleeves, picked up their paint brushes and didn’t stop until the once custard yellow walls were calmer shades of lovely lavender and brilliant blue. The team were kept entertained as pupils practised for their upcoming nativity play in the adjacent school hall. 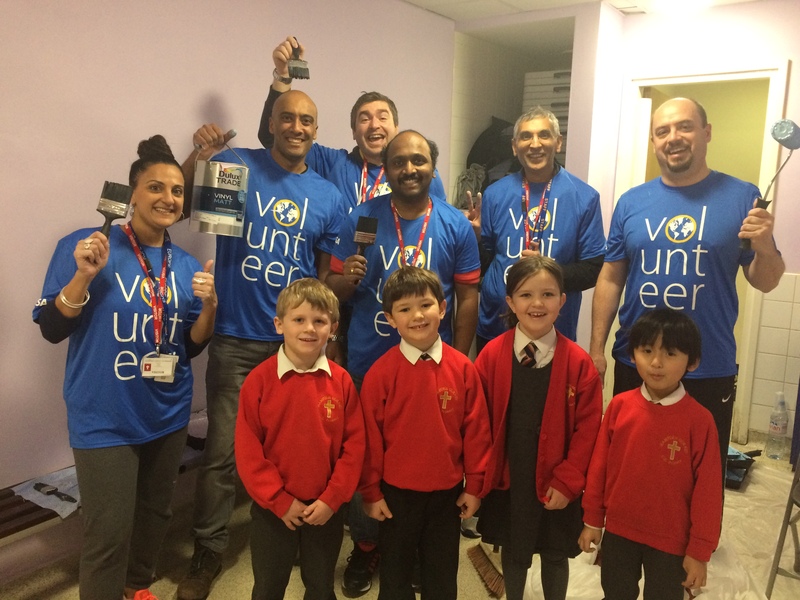 The sweet sounds of Silent Night serenaded the six volunteers and the team also enjoyed tucking into the delicious homemade mince pies prepared by the school’s PTA. The morning flew in this Edgware Road version of sixty-minute makeover – both rooms having their walls prepped and painted in little over two hours. Our community partners in Westminster touch every aspect of need; including health, housing, the elderly, mental health, young people, families and homelessness. We work with your in-house community, communications, HR or CSR team, promoting volunteering and placing your volunteers. You can select from a variety of initiatives to suit skills and time. We will help you to apply your core community priorities and will develop and manage a programme which delivers for your business. If you and your colleagues would be interested in getting involved in practical projects like this, to make a positive impact in the Marble Arch area, please contact Emily on community@marble-arch.london.